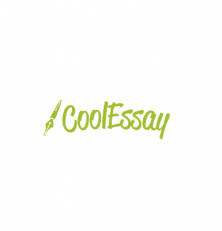 Coolessay.com is a company, which offers essay writing services for everyone. They provide services of essay writing, business writing, rewriting, proofreading etc of different academic levels. We reviewed every service provided by this company and are ready to show you the results. Price plays a big role in selection of an academic help service. Usually, when the price is too high, students decide to better have a sleepless night with essay writing rather than spending so much money. Coolessay.com is one of the websites with a critically high price – the average price for 1 page of your work is approximately 23$. The price depends on many aspects, such as, for example, level, quality, size, urgency of your work etc. Doctoral level of writing costs the most, and, respectively, High School level is the least expensive. The smallest deadline for a writer is 4 hours. The price of 1 page of work (High School level, essay on International Relations, double spacing) for a 4-hour deadline is 45$. It is far more expensive, than the average price for an urgent work (~24$). We ordered a Bachelor degree level work on Statistics, 15 pages long and with a 5 days deadline. The price for this work was 395$. What causes such an enormous prices is unknown. The only thing we know here is that it’s absolutely unprofessional to set such costs for an essay writing service. The website states, that customer support service is available 24/7 via live chat and via toll-free phone number. Well, we were waiting for five (!) hours to receive any response. What is more interesting – we have written a question regarding the price of an essay on Saturday, and received our response only on Monday. Looks like this support works not 24/7, but 19/5. Absolutely unsatisfactory. If you need help writing an essay – forget about receiving help from them. It is impossible to say something about the quality of a paper without ordering it. That is why we ordered a Bachelor degree level work on Statistics (as already indicated above) to check everything by ourselves and make a detailed examination. Of course, the cost of work was inadequate in our opinion, but we were hoping to receive a real masterpiece for such a price. Regrettably, we were to discover, that our expectations have not been met. The format requirements were met and sources were selected carefully and thoroughly. But all the other important issues were missed… The style of writing was inappropriate – thoughts were expressed trivially, almost without scientific expressions. We have checked the received work through few plagiarism-checker applications, and the originality level was only 60%. It means, that there were 40% of clear plagiarism in our work! Also, it’s important to mention, that we received our essay on Statistics for 12 hours later. A silver lining being that we are not real students – we are reviewers, and we won’t miss any real-life academic deadline, which may turn out really bad for a student. But what if we were?.. There are almost none discount programs. Instead of that, they state, that you save approximately 115$ on every order because of free services, such as, for example, free title page, bibliography, e-mail delivery, formatting, revisions, plagiarism report, personal manager services. Well, what we can say from our experience, is that you don’t save any money on all of the listed things. When we asked for a revision of our ordered paper, no one has replied to us. So we were just left with our eminently expensive and unsatisfactory paper. Also, we were surprised by the paragraph “free e-mail delivery”. Since when the e-mail services have become chargeable? Nonsense. So, we can see, that coolessay.net gives NO discounts and pretends to be a cheap essay writing service through so-called “savings”. One of the few positive things on this website is their design – it is made in green and grey colors. All the necessary things are located on the top of the page. The order button is big and green and is located in the top left corner. Buying an essay is also simple – you just have to select the green “Order Now” button and fill all fields required. You know, that we always provide you with fair essay writing services reviews, so you could receive the best academic writing help and stay away from unprofessional companies or frauds. And, to summarize, we can say, that coolessay.net review was one of our worst reviews ever.. The prices are high, the quality is low, customer support is slow and rarely responding, deadline was missed significantly… We can continue this list of disadvantages, but there is no need – everything about this company is clear already.